Appropriating another culture for an event, costume or poster is an example of a larger issue in our society dealing with upholding respect towards cultural activities and outfits. “You’re too sensitive,” “political correctness gone mad,” “it wasn’t racist until you made it racist” — these are some of the comments received when it was suggested that a group of non-Hawaiian students throwing a Hawaiian-themed party might be problematic. The Arts and Science Students Union’s event, “Hawaiian night,” was advertised via Facebook and through posters around the university. The first posters depicted a dark-haired surfing pinup girl from a Hawaiian airline advertisement in a yellow bikini. After complaints, the event was quickly changed to a more ambiguous “Tropical night” and the pin-up girl replaced by a palm tree. The décor and activities however remained the same — including holding a limbo contest, which has its origins in Trinidad. Cultural appropriation is the use of often oversimplified, packaged versions of the culture of oppressed groups. The ASSU mentioned that the event was supposed to be a “celebration of Hawaiian culture,” an argument often used to support Native American sports team logos or ethnic costumes. In most cases, these activities are not celebrations — let alone accurate representations of cultures. The planners seldom consider the people of said cultures in their planning process and only claim this intention after the fact —when they have been called out. Let’s be clear: at no point did those against the event attack individuals. Making a mistake does not immediately make you a bad person for life. However, good people can act inappropriately and in racist ways without even realizing it. North Americans are bombarded with stereotypical, superficial images of Hawaii and other cultures and so this representation is normalized. But if after you are educated on the issue and you make the choice to continue hurtful actions or avoid responsibility for them, you risk earning that undesirable reputation. Apologies for discriminatory actions often include some variation of the phrase “but our intentions were good!” While this is generally true, ignorance does not absolve responsibility and relying on this claim makes any apology seem much less sincere. Nor is “I’m sorry you were insulted” an acceptable apology. As an elected body of student representatives that serve diverse constituents it is the ASSU’s duty to ensure their actions are carried out in a responsible fashion — which means they need to seriously consider any concerns that are raised regarding events. It also means that they need to be careful that the voices of students and faculty are not marginalized and that complaints are dealt with in a respectful and professional manner. Over the past weeks, students and even faculty have received hateful personal attacks as a result of speaking out against the Hawaiian night theme. One of the most offensive comments received was the assertion that simply calling out a white person on cultural appropriation was a more hurtful experience than suffering racial discrimination. When Indigenous people and people of color speak out against everyday incidents of racism we are attacked — labeled as aggressive bullies by those who would prefer that we stay silent if we disagree. A perfect example of this is Professor Jonathan Kay Kamakawiwoole Osorio’s interview regarding Hawaiian night in the National Post. He is quoted as saying that the event was “no big deal.” Professor Osorio has since noted in commentary about the article in the National Post that he had discussed thoroughly how tourism has appropriated images and cultural practices from Native Hawaiians — but that part of his interview, unsurprisingly, was left out of the final article. In her influential piece “Lovely Hula Hands: Corporate Tourism and the Prostitution of Hawaiian Culture,” scholar Kānaka Maoli explains why haole — a Hawaiian term used to refer to those of Euro Canadian descent — exotification of Hawaiian culture and people is a problem. Haunani-Kay Trask points to the crime rates, high housing costs, homelessness and widespread trafficking of Native Hawaiian women and girls as problems of a tourism-based economy. 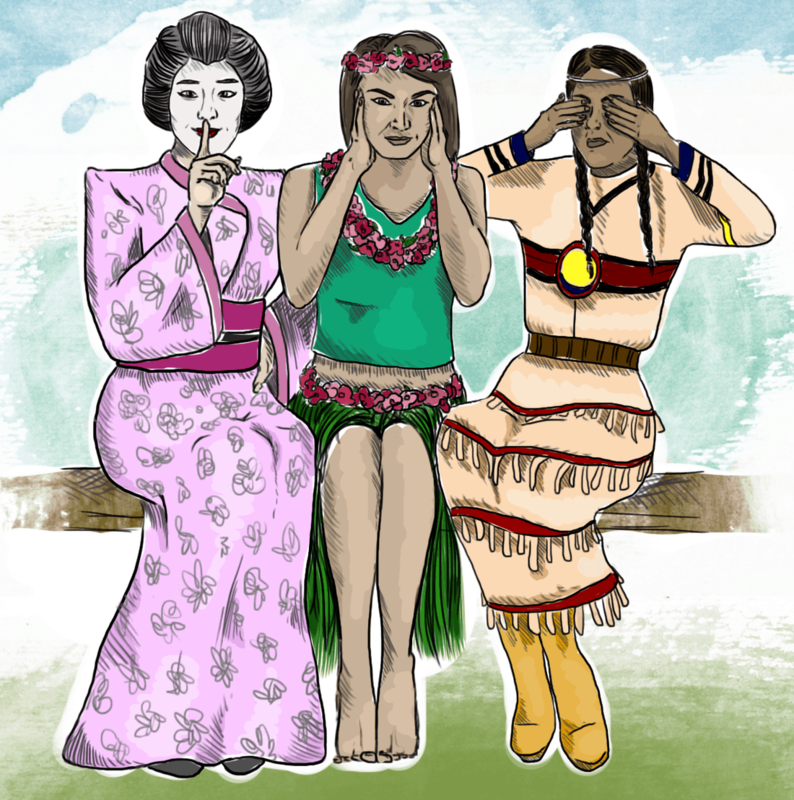 Similarly, Natalee Kehaulani discusses the dehumanization of Native Hawaiians as a result of colonialism and the commodification of Hawaiian culture in her blog on Maoliworld. “I understand that most Americans don’t think of Hawaiians as a ‘real’ group of people — this has happened deliberately and structurally through centuries of colonial mentality. This is why it is even more important that you not further the idea that ‘Hawaiian’ is a theme, a décor, a commodity available to anyone. To do so would be damaging on so many levels,” Kehaulani said. For Indigenous peoples of the world, the reality is that our cultural traditions, ceremonies and languages have been deemed inferior, irrelevant or even illegal by colonial governments. Indigenous people risked serious persecution to preserve traditions such as hula or powwow — persecution here denoting violent beatings and the removal of children from homes, not just monetary fines. Our lands, bodies and our cultures as Indigenous people are not ripe for conquest; they do not belong to you, and we will not quietly accept harassment for simply asking for respect. There’s nothing wrong with students taking a critical view of their representative unions, but it’s another issue entirely for professors to publicly lambast an organization with comments more inflammatory than they are informative. Earlier this month, the Arts & Science Students’ Union decided to host a “Hawaiian night,” with the intent to bring warmth to our cold climate — though this spurred major controversy. On the event’s Facebook page there was considerable opposition to what was seen as an offensive depiction of Indigenous Hawaiian culture and women in the event poster. Proactively, the ASSU updated the event materials to remove these aspects. The event name was changed to “Tropical night” and the posters that had been placed on campus were also removed. As a professional organization representing all undergraduate students in the College of Arts & Science, respecting cultural diversity and the opinions and concerns of our constituency is paramount. After the event name and poster were changed to accommodate the concerns that were raised, Mr. Gaudry’s commentary was later deleted from Facebook — but were his comments on white consumption necessary in the first place? Mr. Gaudry has the right to an opinion and I respect that. However, Mr. Gaudry is a professional at a public institution. As an educator, he is an authority figure. As such, I take issue with his choice of words. I find them to be more inflammatory than constructive. For Mr. Gaudry to publicly weigh in on an issue of student politics in such a way is inappropriate and disappointing. The ‘likes’ on this post indicate that Robert Innes (the Graduate Chair of the Department of Native Studies) condones Mr. Gaudry’s remarks. This type of criticism troubles me greatly, especially when it is directed at a hard-working and culturally diverse organization, the members of which devote their time to making a better place of the university and broader community. The ASSU has demonstrated its sensitivity and respect for the concerns, opinions, and cultural diversity of its constituency, and this has been covered by various local as well as national news media. I want to thank the members of the ASSU for their good spirit and level-headedness through this time of public scrutiny. This organization depends on your good intent and hard work.